The joy of our Catholic heritage. The art of prayer: meeting God in authentic conversation. How to deal with the tough issues of life. Healing relationships; healing past hurts. Transforming anger and bitterness through compassion. 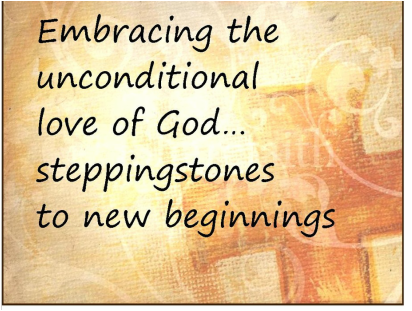 Embracing the unconditional love of God. Recognizing the sacred moments of our lives. are both nationally known authors, pastoral counselors and retreat leaders,from the diocese of Savannah, Georgia. Infectious wit, down-to-earth insights and truly holy inspiration are the hallmarks of their message. Many pastors say their parish missions attracted the largest crowd they had ever had for a parish spiritual program. Come each evening & invite others to join you! In Matthew’s Gospel we hear of Jesus calling to us to place our cares at his feet and, take his burden upon our shoulders, for “it is light and will give you rest” Come and learn how God can take your worries and burdens and turn them into fuel for living a joy filled life of grace. Mary, by her yes to God became the dwelling place of the Savior. Because of her yes Mary’s womb expanded to contain the uncontainable God. Mary’s response to God shows us the way to become the dwelling place of God’s healing, saving presence and extend his love to the world around. Mary’s example points us always in the direction of her son as she says in Matthew’s Gospel, “Do whatever he tells you.” As the first disciple of Christ she points us toward the pathway of salvation and hopeful living in both the good times and in times of adversity and loss. Her courage in the face of ultimate loss can give us courage to pass through our own moments of grief and loss to renewal and recovery. Bitterness and hostility can kill the soul; separate us from one another and from God. We re-examine how God forgives us, how he forgives and forgets our offenses both calling and empowering us to do the same for others. Learn the ways of peace making in families, friendships, and parishes. We will never have to forgive another person as much as God has forgiven us.